So I have never done drugs. Not even a little. I take some allergy medication during the summer and grab a Tylenol when I have a headache, but that’s the extent of my pharmaceutical needs. So when I heard the news today that Pfizer and Allergan are looking at merging to create a single massive drug company that will be headquartered in Ireland, I figure it doesn’t really concern me. Then I heard the radio news anchor report that this move would allow the company to avoid a great deal of US taxes and that the White House is asking Congress to act to prevent it. Now, why President Obama doesn’t just use an Executive Order …..I don’t know. But Congress should act. They should act….. BY REDUCING CORPORATE TAX RATES! It is ridiculous that a country as great as our’s must take advantage of corporations and businesses through high tax rates to cover the costs of a bloated and inefficient government. I mean evidently Ireland does not have high corporate tax rates and look at the economic opportunities they are bringing into their country because of it: High wage jobs and investment. Yet we here in the US scare companies away though excessive regulation and a complex and unfair tax code. This isn’t rocket science. This is barely Econ. 101. If you want economic growth, if you want financial investment, you must show you appreciate the money people are willing to invest. Let’s look at an example on a smaller scale right here Oregon. The Woodburn Outlet Mall is one of the most popular tourist destinations in Oregon attracting over 4 million visitors annually. People come from other states and countries to take advantage of “No Sales Tax” shopping. Are these consumers any different than large corporations trying to save on their tax bill? No! The fact is everyone, including businesses are looking for a good deal. And for the average consumer, Free Market Capitalism allows them to shop for the best deal and make choices on what is in their best interest. But according to President Obama, US businesses must “bend over and take it!” Well I frankly disagree. I think healthy competition between government tax codes limits the growth of governments, lowers the costs of goods for consumers, and keeps everyone on their toes. 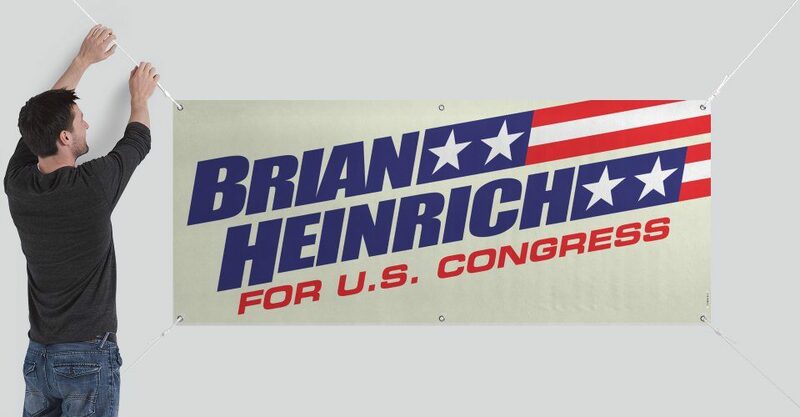 My name is Brian Heinrich and I am running for the 1st Congressional District of Oregon. Please like my page and share my thoughts with your friends and associates. This is a grass roots efforts and I need your support through word of mouth and social media posts to let people know that there is a candidate that is not part of the establishment, but is part of the solution.